36 military officers from five African countries received their diplomas at the Military Command Staff School in Yaounde on August 12, 2016. 36 officers aged between 35 and 53 years from various corps of Defence Forces from Mali, Congo, Côte d’Ivoire, Cameroon and Benin have scored a 100 per cent success rate after a five-month tactical and operational decision-making course at the Military Command Staff School in Yaounde. 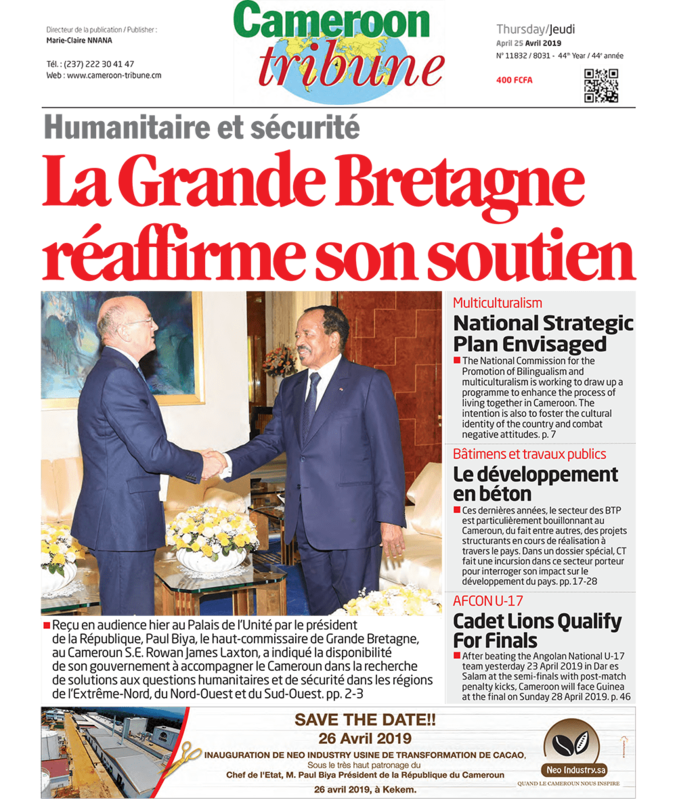 During the closing of the 21st Command Staff Diploma course on August 12, 2016, in Yaounde presided at by the Secretary of State at the Ministry of Defence in charge of the National Gendarmerie, Jean Baptiste Bokam, the laureates were urged to impact their subordinates back in their units of command with the skills acquired. Team spirit, humility and moral integrity were qualities they were each told to showcase. Scoring 14.98 points out of 20 to emerge first during the training, Captain Dimo Jules of Cameroon’s Rapid Intervention Battalion (BIR) testified to the press that the trainees had acquired skills in general development, tactical decision-making methods, office automation as well as operational warfare techniques not only on the national but international scene. The training course which was adapted to current security challenges was organised with assistance from the French Cooperation.